It is finally going to be nice out tomorrow so we are going to test drive some cars! I feel like I’m betraying our other car. Ahh poor Frank the Tank. But Frank is just too small now. Not in the ‘we have a new baby and have tons of stuff small’ but ‘we have a new baby and no one can sit in the passenger seat now because of the car seat’ small. Yep, that’s what happens when your Scion Xa is the size of a matchbox car. It means with the car seat in the back you can’t sit in front. Well, you can but then your knees are touching the dashboard and that’s not the safest thing. Now we are getting a new car so that it doesn’t mean that one of us is playing chauffeur. Thankfully, Frank has been paid off for years so he is sticking around and will be the car we use when we are just running errands. I can’t ditch Frank yet! He only has 115K miles under the belt and he has plenty more in him! Tomorrow we are looking at a Mazda CX5 and then next weekend we are going to check out a Toyota Rav4. Price has done endless research on endless models of cars and they are our top 2 cars. So I made this doozy of a pie for the occasion. 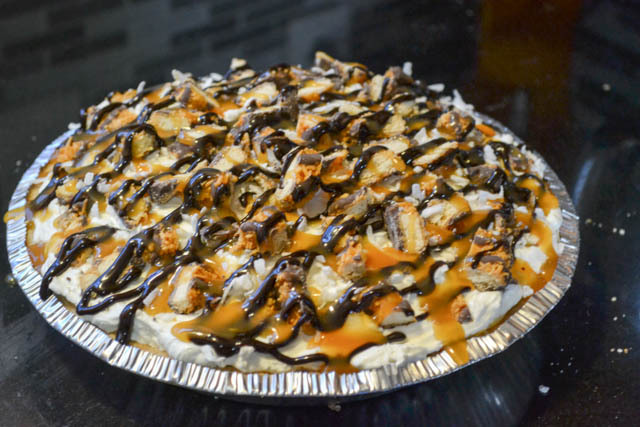 This Frozen Samoa Cookie Pie is what happens when you stuff some Samoa Cookie pieces in and on a Cool – Whip based pie. 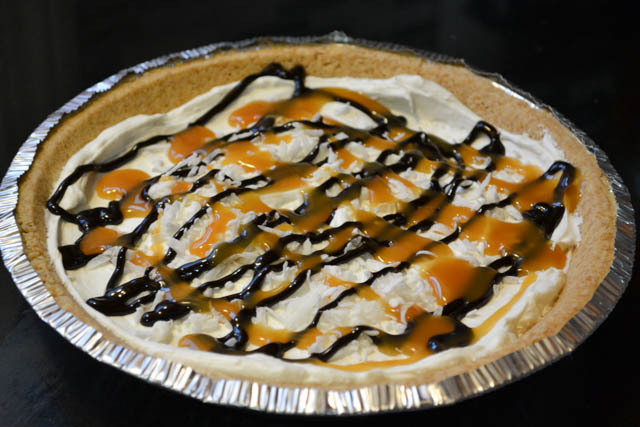 And don’t forget the added coconut, caramel, and chocolate that is in and on the pie too! This takes almost no time to whip up but the killer part is waiting for it to set up and freeze again. But the wait it worth it. 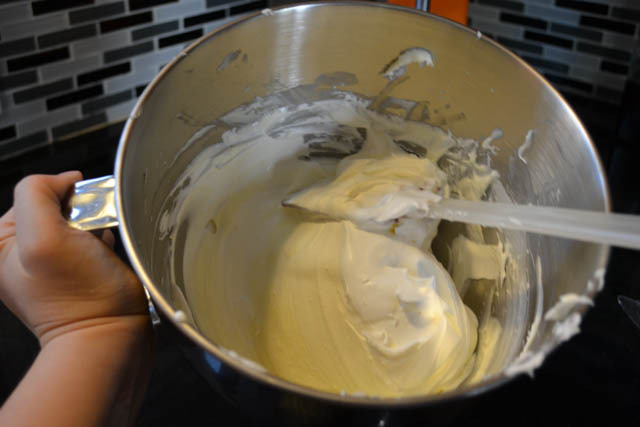 Whip the cream cheese in a mixing bowl for a few minutes until light and fluffy. 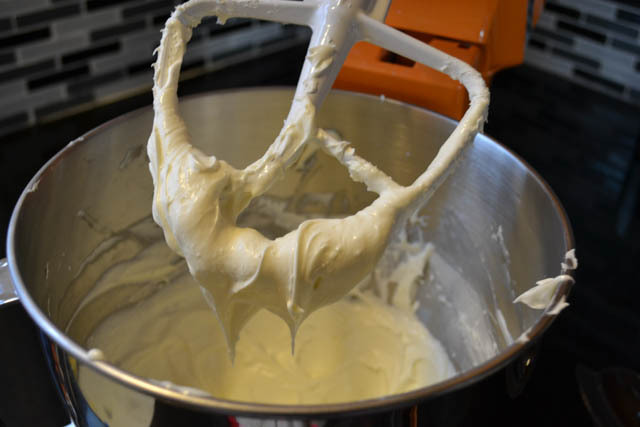 Add the sugar and milk and mix until fully incorporated it into cream cheese. Put half of the filling mixture into the pie crust. Then put half of the coconut on the filling. Drizzle a lot of the caramel and chocolate sauces on the filling. 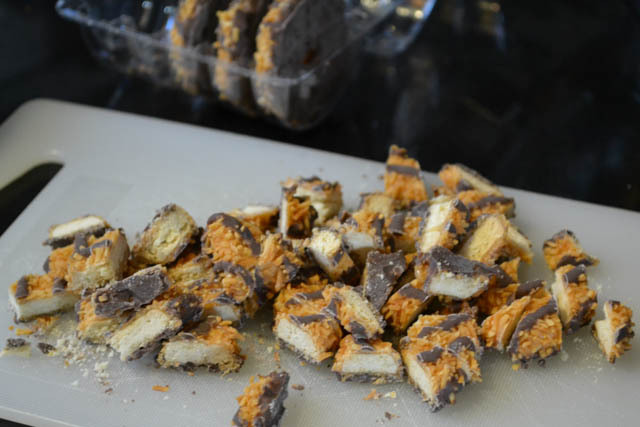 Lastly, add in half of the cookie pieces. Pour the rest of the filling mixture on top of the fillings later. Spread evenly with a spatula. 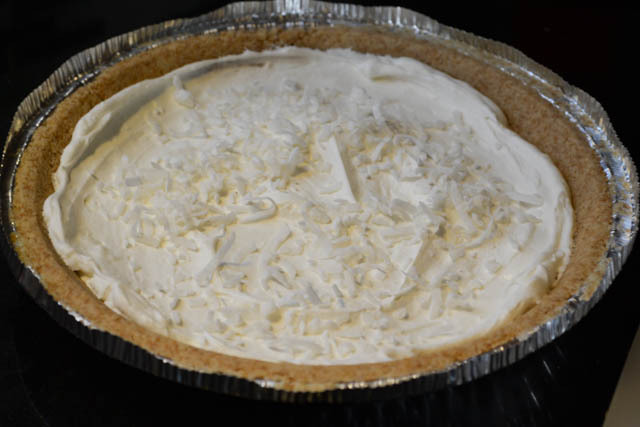 Sprinkle the remaining coconut and cookies on the top of the pie. Gently press into the top of the pie. 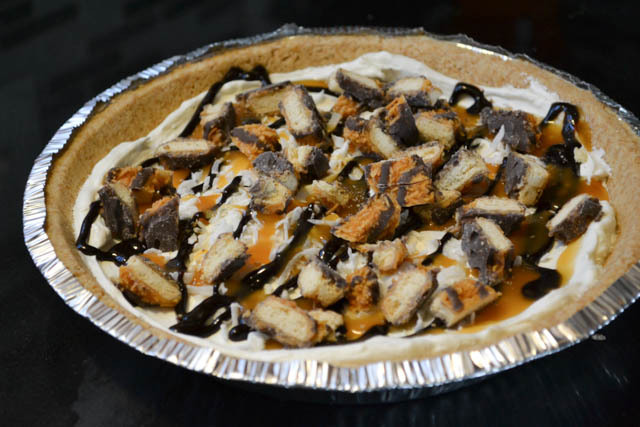 Then generously drizzle with the caramel and chocolate sauces. Put the pie into the freezer to set up. I suggest at least 4 hours, but overnight is preferred. When ready to serve, remove from freezer and cut into all the pieces (8-12). (Cutting the pieces at once when frozen makes it easier to do.) 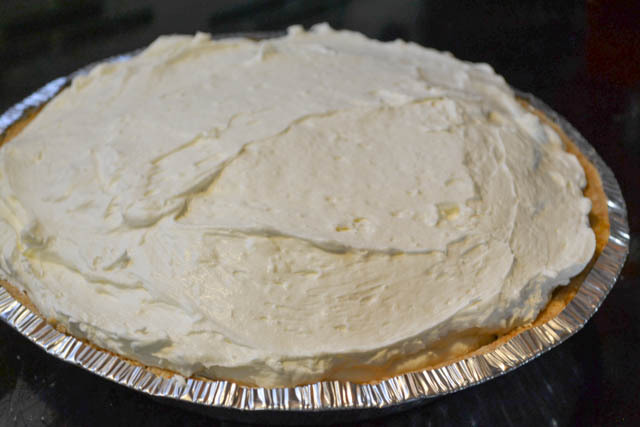 Remove slices from pie plate and let thaw slightly on serving plate. Serve slices with more caramel and chocolate sauce. And a bit of whipped cream doesn’t hurt.